[WATCH VIDEO] India PM Narendra Modi Singing “Shape Of You” And Internet Is Loving It! We all know that pop-singer, writer Ed Sheeran’s mashup ‘Shape Of You’ is a huge hit. Even if one doesn’t know the lyrics you end up tapping your feet and grooving to it. The song has become the sensation on the Internet. It has been quite some time the song released. Still, there are many out there hearing and performing the song. But, can you imagine India Prime Minister Narendra Modi singing the ‘Shape of You’ song? 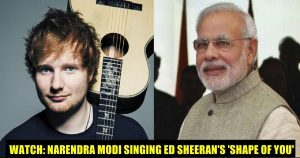 For everyone’s surprise, Narendra Modi has sung the Shape of You song and this video has gone viral on social media recently. 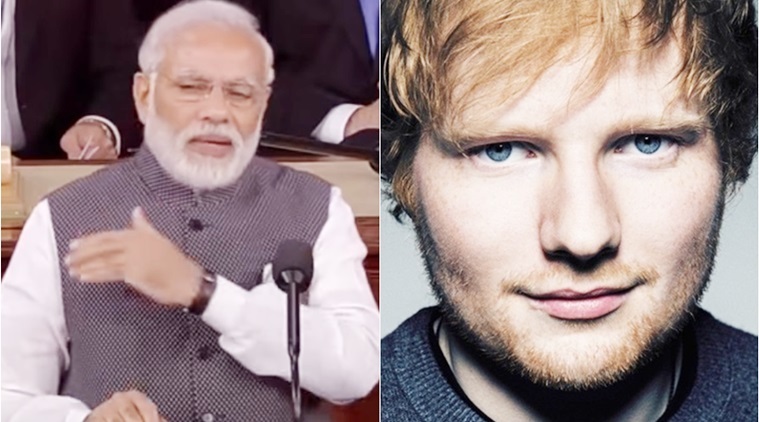 Yes, as shocking as that sounds, someone actually managed to do a mash-up of Modi’s speeches to recreate Sheeran’s popular number. Tony Tarz is the man we should thank for the video. The 19-year old passionate music producer from Kerala was inspired by the American cover versions of the hit song, which has given birth to many mashups, as he just wanted to show how good Indians could be when it comes to creating mashups. The music producer Tarz uploaded the video with the caption, “I got the idea to make this video ( Respected Modi Ji’s) after watching Donald Trump and Obama singing shape of you. Definitely inspired me a lot from YouTuber Maestro Zikos. This video is created not to underestimate our Modi Ji but to show not only Americans but also we Indians too know how to make this type videos (sic),” Tarz wrote. With this video, Modi joins former US President Barack Obama and current POTUS Donald Trump in providing a version of this song, along with the countless other artists. One thing we should appreciate Tony Tarz is for his patience and gathering the words spoken by Modi from many other videos. The editing must have been a nightmare for him.